Price: $69 per person (HSRC Members); $74 (Non-members). Includes bus transportation, guided tour and lunch. Join us as we spend the morning visiting and learning about two remarkable and historical musical instruments. Our first stop is the Lafayette Theater in Suffern, where we'll learn about the "Mighty Wurlitzer" and how it came to be here in Rockland County. Our second stop will be West Point and the Cadet Chapel, where guests will be impressed by the beautiful tones of its magnificent organ, which was originally built by M. P. Muller in 1911. After enlargements over the years, it is now the largest church organ in the world. Our tour will include unique and exclusive opportunities to go behind the scenes with chapel staff. Classical, sacred and popular musical selections will be played at both stops to further showcase the beauty of these impressive organs. Please note that photo identification (driver's license or passport) will be required for entry at West Point. Finally, we will enjoy a delicious luncheon at Marcello's Ristorante in Suffern. When: Sunday, October 19, 2014, 1-5 pm, rain or shine! Showcasing the Historic Traphagen and Vanderbilt/Budke Houses. Enjoy Live Music, Raffles, Craft Demonstrations & more; Ramapo Fault String Band; Pumpkin Picking, Decorating and Painting; Petting Zoo and Pony Rides, Nickel-O-Farms; The Story of Jane “Naut” Kanniff: The Witch of West Nyack; Honey Bee Presentation and Guided Nature Walk; Children's Games and Crafts (Stencil Art, Writing with a Quill Pen); Pen Turning Workshop, Hudson Valley Wood Turners (pre-registration is appreciated); Free Mini Golf at adjacent Germonds Park (pick up ticket at festival registration table); Food Vendor & Refreshments for purchase. Where: Bus Leaves Characters Restaurant, 94 Orange Turnpike, Sloatsburg, NY, at 8:45 am. Trip ends after lunch at 2:00 pm. Guests will tour by bus several of Ramapo’s historic cemeteries, including Brick Church, West Ramapo, Iron Works, Rockland County & Veterans, Potters Field, and Masonicus. A knowledgeable guide will board our bus at each stop, presenting the history of each cemetery. In addition, we will learn about notable people buried at each cemetery. Although we will be disembarking at two or three cemeteries, these stops will not involve a lot of walking. Our day will conclude with a buffet luncheon at Characters Restaurant in Sloatsburg. The History in Your Own Back Yard Series has been made possible by a generous contribution from the Town of Ramapo. Join us as for a self-guided tour homes and landmarks in Montvale, Upper Saddle River, Saddle River, Tallman, Airmont, and Chestnut Ridge. Two hundred years ago, the Reverend Stephen Goetschius left his home in New Paltz, New York, to move to the Saddle River Valley to serve the Old Stone Church as minister. The families who worshiped here came from the Ramapo region of Rockland County and northern Bergen County, and many were related. It was a rural area, and the church membership still preferred to hear their service in Dutch. Reverend Goetschius, who was in his sixties, liked to preach in Dutch and did so until 1835, when he retired at the age of 80. The homes and landmarks on this tour represent many of the names of those early families who attended the Old Stone Church, including Eckerson, Hopper, Zabriskie, Van Riper, Snider, DeBaun, Terhune, Osborn, Conklin, Yeomans, and Post. We thank our Generous House Tour Sponsor. Beckerle Lumber Remodeling Showrooms, as well as our Homeowners, House Captains and Docents, Event Volunteers, and Partners at the Upper Saddle River Historical Society & USR Historic Preservation Commission. Price: $80 per person (HSRC Members); $85 per person (Non-members). Includes boat transportation, guided tour and a box luncheon. The Tappan Zee Bridge is currently the largest infrastructure project under way in the United States. The HSRC is pleased to offer an exclusive opportunity to observe this important undertaking from a unique vantage point. Join us on the River Rose, a Mississippi-style paddle-wheeler, as we cruise along the Rockland shore of the Hudson River to the Tappan Zee Bridge. Participants will view the current bridge construction from vantage points that are as near to the bridge as LEGALLY & SAFELY possible. Narration and commentary will be provided by historians from the HSRC, as well as by leaders of the current bridge project (Tappan Zee Constructors). These guides will also be available to answer any questions guests have about the past, present and future of the Tappan Zee Bridge. On our return trip, guests will enjoy a cruise along the Westchester shoreline. Price: $88 per person (HSRC Members); $93 per person (Non-members). Includes boat transportation, guided tour and a box luncheon. Where: Motorcoach departs 8/9 at 7:30 am; returns 8/10 at 6 pm. Departure/return location is West Nyack Commuter Parking Lot. Price: $279 per person, single occupancy; $244 per person, double occupancy. Price includes overnight accommodations, attraction admissions, and gratuities. All meals are included except Saturday lunch. Meals will include pot roast dinner before the Saturday performance, a hotel snack after the performance, Sunday breakfast, Sunday lunch, and an on-board snack bag and water each day on the bus. Please bring your own bag lunch for Saturday. Join us on our overnight upstate New York bus tour and travel back in time to the year 1777 and our American Revolution! Our luxury coach, equipped with lavatory, microphone, and DVD, will take us to Albany and west to the Mohawk Valley. With our on-board guide for the two days, we will see approximately 12 eighteenth-century sites and have guided tours at approximately six of them. A Saturday highlight will be the 5 pm outdoor performance of "Drums along the Mohawk,” by Walter D. Edmonds. This vivid adaptation of the beloved historical novel tells the story of a newlywed couple thrust into the brutal conflict of the American Revolution during 1777. (Please pack a folding lawn chair, as chairs are not provided at the performance). The tour stops have been hand-picked to enhance your "Drums along the Mohawk" experience: Benedict Arnold began his rescue of the endangered Mohawk Valley residents at the Van Schaick Mansion; we’ll also tour the elegant Georgian-style mansion home of the hero of the drama, General Nicholas Herkimer. This is an "attraction dense" trip. Guests will bring their own bag lunch to eat Saturday during the hour-plus drive between Albany and Little Falls. The focus of this "Walk through History" is the newly restored and reopened Ringwood Manor, the home of the Cooper-Hewitt family who made their 19th-century fortune in iron mining and manufacturing. Although the operations were in New Jersey, Abram S. Hewitt was a Rockland County native: he was born and raised in Haverstraw, and his mother was a member of the Gurnee family. Guests will enjoy a guided tour of Ringwood Manor’s interior (approx. one hour), followed by a self-guided tour of the grounds. Participants who plan to end the day here can take advantage of the beautiful picnic areas at Ringwood State Park. The Historical Society invites you to witness history through the eyes of Nyack’s Daniel Ullman, as portrayed by the local historian and reenactor Doug Carey. General Ullman was instrumental in New York’s early response to Lincoln’s first two calls for volunteers, in 1861 and 1862, and was put in charge of one regiment of the Eagle Brigade: the 78th New York Volunteer Infantry. After serving with distinction and even surviving a bout with typhoid fever and the infamous Libby Prison, he was helped to persuade Lincoln that the time was right to allow men of color to serve under the Stars and Stripes. He was subsequently put in charge of several of the first regiments of the U.S. Colored Troops, the Corps d’Afrique, serving primarily at Port Hudson within the Department of the Gulf. This Family Program is presented in conjunction with LINCOLN AND NEW YORK, a panel exhibition from the New-York Historical Society that probes the myths and controversies surrounding Abraham Lincoln. Original research explores New York’s influence on the Civil War, the impact of emancipation, and the promotion of Lincoln’s persona as he evolved from an obscure Illinois politician into a national martyr. Visitors who think they know everything about Lincoln will be startled to see so much that is new. The panels are complemented by items from the HSRC’s permanent collection, together with artifacts on loan from other local history organizations. These rarely seen objects highlight Rockland County’s connection to Lincoln and illustrate Rockland’s contribution to the Civil War. Price: $70/person (HSRC Members); $75 (Non-Members). Includes bus transportation, guided tour with the Town Historian, and a delicious lunch. Did you know there are more than 25 National Register locations in Orangetown and more than 35 historical markers? From the story of Andre and Arnold to the early recording studio of Bruce Springsteen, there is something for everyone on this trip. Our guide will be Town Historian Mary Cardenas, and we will see famous houses, churches, and points of interest. The trip includes a stop at midday for lunch at The ’76 House in Tappan. Lunch will include a salad, choice of entree, and dessert. Evening Lecture: "Civil War, Politics, and Peace: Disputes on Rockland's Homefront"
New City History Library Brian Jennings discusses the 1860 presidential election, as well as Rockland's response to the firing on Fort Sumter. Jennings will discuss the early companies formed in Rockland County, as well as the response of citizens to support their soldiers and the controversial peace conventions in Rockland. His analysis will be drawn largely from the coverage of events in local newspapers and from enlistment records and census documents. We are pleased to offer a bus tour of several historic churches, including: Brick Church (1774/rebuilt 1856); Viola United Methodist (1855); Ramapo Lutheran (known as “Island Church”; 1720); Brook Chapel. Our day will start and end at Rhodes North Tavern, where lunch will be served. Space is limited and pre-paid reservations are required. History in Your Own Backyard: Historic Houses of Worship in Ramapo is a registered Path through History event. Special Guest and Keynote Speaker: Rockland County Executive Ed Day Cocktails at 4 pm; supper and ceremony, 5-7 p.m. Featuring the delightful cuisine of Mimi’s Plate. Price: HSRC Members, $69 per person; non-members, $79 per person. Includes bus transportation and guided tours. Guests will travel by 25 passenger motor coach to Fort Tryon Park and the Cloisters. Ont he way to these northern Manhattan locations, we will view and learn about features of the neighborhood. Upon arrival at Fort Tryon Park, guests will be met by Dr. Leslie Day, the author of Field Guide to the Natural World of New York City, for a guided walk (45 minutes) through the park and heather garden en route to the entrance to The Cloisters. Next, the art historian Joan Quinn will lead guests on a guided tour of the Cloisters. The 60–90 minute walking tour will leave guests marveling at this Rockefeller creation, a branch of the Metropolitan Museum of Art that houses nearly 5,000 medieval works in a reconstructed medieval monastery. On the return trip, we will stop at State Line Lookout for lunch. While enjoying the view of the Hudson, we will hear about the unique history of the area before returning to New City. Lunch is not included. Guests may bring a picnic lunch or purchase food at State Line Lookout. Note, this trip requires walking, standing, and traversing steps. Accessibility is limited for mobility-impaired visitors. In July 1863, several months after President Lincoln issued the Emancipation Proclamation and signed the nation’s first federal draft law, New York City was nearly destroyed in a four-day cataclysm of arson, looting, and lynching. Join historian Barnet Schecter for an in-depth look at the festering racial and class conflicts that produced the deadliest riots in American history. This lecture is presented in conjunction with the exhibition LINCOLN AND NEW YORK. Barnet Schecter is the author of The Devil’s Own Work: The Civil War Draft Riots and the Fight to Reconstruct America and George Washington’s America: A Biography through His Maps. Jim Kralik has been a lifelong history enthusiast. With a keen interest in Civil War history, he is a founding member of the Rockland County Civil War Round Table and a licensed battlefield guide at Gettysburg. In this program, he will present a video and lead a discussion about the Civil War. This lecture is presented in conjunction with the exhibition LINCOLN AND NEW YORK. One of Sheriff Kralik's most important projects with the Civil War Round Table was to secure $250,000 in New York State grant funds to clean and restore 111 New York monuments located in Gettysburg. (There are 111 monuments and markers to New York at Gettysburg, the most for any state except Pennsylvania). Securing the funds was a lengthy but worthwhile project for Jim, who hailed Senator Joseph Holland and Round Table President Paul Martin as among those who were instrumental in making the grant a reality. "If you remember the veterans of the Civil War through the proper upkeep and care of memorials," he said, "then you're saying you're going to remember the veterans of every war to come." Sheriff Kralik continued his interest in Civil War history when he became involved in the effort to preserve and restore a Civil War flag that had belonged to the Edward Pye Post of Haverstraw. The Grand Army of the Republic flag was discovered by Lance Ingmire, regimental historian of the 95th New York. Kralik has worked tirelessly with other volunteers to raise the funds to bring the flag back from ruin. Restoring the flag is also important to perpetuate the memory of the Civil War veterans. Discover 1.3 billion years of history as we hike from Fort Montgomery State Historic Site to Trailside Museums and Zoo, talking history, geology, and botany along the ever popular twin forts hiking trail! On this ramble we will discuss the dramatic attack of the Twin Forts in 1777, view remains of Forts Montgomery and Clinton, see one of only a handful of visible shipwrecks in the Hudson, pass an ancient Native American campsite, and identify plants, animals, and rocks along the way! Bring water, appropriate footwear, and lunch. Price: $5 per adult, $1 per child (free for children under 3) -- all proceeds benefit the HSRC's educational activities! "Come out and join us if you're interested in history or just plain fun!” This family-friendly living history weekend is hosted by the 2nd Rhode Island Volunteers, Company B, a local Civil War unit whose members portray typical Army of the Potomac soldiers during the Civil War. The reenactors will set up camp on the HSRC grounds and provide demonstrations of soldiers' life in the 19th century. Displays of Civil War artifacts, as well as engaging hands-on activities for families with children, will be offered to help visitors learn more about this important era in American history. In addition, the Jacob Blauvelt House will be open for tours. The 2nd Rhode Island, Company B, organization was founded in 1984. Its members chose to portray the 2nd Rhode Island because the unit mustered into federal service in June 1861 and served until the end of the war. The 2nd Rhode Island was present at all of the major battles on the East Coast. The Civil War Encampment with the 2nd Rhode Island, Company B, is presented in conjunction with LINCOLN AND NEW YORK, a panel exhibition from the New-York Historical Society that probes the myths and controversies surrounding Abraham Lincoln. Original research explores New York’s influence on the Civil War, the impact of emancipation, and the promotion of Lincoln’s persona as he evolved from an obscure Illinois politician to a national martyr. Visitors who think they know everything about Lincoln will be startled to see so much that is new. LINCOLN AND NEW YORK has been made possible by a grant from the National Endowment for the Humanities. The exhibition will be open to the public Wednesdays through Sundays, 12–4 pm, from April 6 to June 15. With a singing voice that has been described as “majestic,” Linda Russell leads audiences on historic journeys that are both entertaining and enlightening. Her musical performances of period songs are punctuated with anecdotes and facts from primary source material. “Songs of the Civil War” features recruiting songs that urged young men to sign up to fight—both the anthems that inspired them and the musical complaints about the conditions they endured. Ms. Russell also performs contemporary ballads about yearning for home and loved ones left behind. Linda Russell’s performances have been featured on A Prairie Home Companion, as well as at Carnegie Hall, Avery Fisher Hall, Symphony Space, and the National Archives. 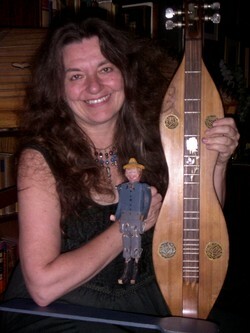 As a balladeer for the National Park Service at Federal Hall National Memorial in New York City for sixteen years, she interpreted history through music and is a recognized expert in her field. Now, with many recordings to her credit, her performances are in demand at schools, historic sites, and community events throughout the country. “Songs of the Civil War” at the HSRC has been made possible by a grant from the New York Council for the Humanities. To make reservations by phone or to learn more about the program, call (845) 634-9629. LINCOLN AND NEW YORK has been made possible by a grant from the National Endowment for the Humanities. The exhibition will be open to the public Wednesdays through Sundays, 12–4 pm, from April 6 to June 15. The Annual Meeting of the Historical Society of Rockland County was held on Monday, April 7, 2014, at the Museum, 20 Zukor Road, New City, NY, at 7:00 pm. The order of business included reports of the committees. Rarely seen objects from the Society's collections were on display as part of the exhibition LINCOLN AND NEW YORK, and students who participated in the recent High School Local History Conference made a short presentation. President Clare Sheridan opened the meeting by sharing a slideshow that reviewed the year's activities. The audiovisual presentation was followed by reports by the HSRC's committees. The slate was unanimously approved. The HSRC thanks outgoing Trustees Pat and Jim Cropsey, Win Perry, and Clare Sheridan and welcomes the 2014-15 officers and board. Travis Jackson was entering the fourth grade when Thurgood Marshall came to Rockland County to help in the desegregation of the Hillburn schools. Dr. Jackson will lead this informative walking tour around the village of Hillburn and describe the important civil rights event that took place in 1943. The Benmosche Family were honored for their outstanding community service in the ongoing efforts to preserve and share Suffern’s Lafayette Theater, a unique place in Rockland County. Robert Benmosche and his son Ari purchased the building in 1999; in 2002, the family began restoring its interior, bringing back the theater’s luxurious prewar style while investing in modern projection equipment and concession areas. Thanks to the Benmosche Family’s continued support of, and belief in, this historic treasure, together with a new partnership with the Town of Ramapo, the Lafayette Theater is poised to continue to be the centerpiece of Suffern and a gem in the Rockland County community. Howard H. and Ruth Schack, long-time members and supporters of the Historical Society of Rockland County, have worked tirelessly to record and share the history of their native Spring Valley. Their essays have been published in the Society’s quarterly history journal South of the Mountains. They have also chronicled their family’s business success story, which began in 1898 when Howard Schack’s grandfather opened Schack Glass in Spring Valley, now an international company with offices and projects worldwide. Stuart Gates, Municipal Historian for the Town of Stony Point; historian for the Rockland County Volunteer Fireman’s Association; and editor of that organization’s newsletter, The Trumpet. His encyclopedic knowledge of the history of the Fireman’s Association has made him the go-to resource at the annual firefighters’ parade. Without a single written note, he recounts a library of information about each brigade, to the astonishment of everyone in the viewing stand. Rockland Lake was home to a flourishing ice industry from the 1830s to the 1920s. Join us for this walking tour of Rockland Lake led by Robert Maher, president of the Friends of Rockland Lake and Hook Mountain and the author of the new Images of America book Rockland Lake, Hook Mountain, and Nyack Beach, which will be available for purchase. First, we’ll view vintage area photos before walking on the lake path to visit the site of the largest ice house. Next we’ll walk to the area of the once active village, and, finally, we’ll walk down to the river to see the vestiges of the ice chute. The walk includes steep ascents and descents, all on paved surfaces. It is stroller-accessible. An early “opt-out” is possible. Leave the driving, tolls and parking to us! Join us as we visit the New-York Historical Society. We will begin with a guided Tour of "The Armory Show at 100: Art and Revolution." Featuring works by Duchamp, Matisse, Picasso, Cézanne, Gauguin, and Van Gogh, this exhibition revisits the famous 1913 New York Armory Show on its 100th anniversary. In 1913, the International Exhibition of Modern Art came to New York. Organized by a small group of American artists, including Rockland County’s Arthur B. Davies, the show took place at the Lexington Avenue Armory (thus the nickname, "The Armory Show"). It introduced the American public to European avant-garde painting and sculpture. "The Armory Show at 100" is an exploration of how the original Armory Show inspired seismic shifts in American culture, politics, and society. (Please note that the exhibition ends on February 23, 2014.) After lunch, enjoy a self-guided tour of "Clarice Smith: Recollections of a Life in Art," a retrospective of the distinguished contemporary painter’s signature subjects. The tour includes an all-museum pass. Spend an enchanted evening at the historic 1832 Jacob Blauvelt farmhouse, illuminated with candlelight and lanterns, fragrant with traditional sweets, and decorated with festive greenery. Experience Dutch American holiday traditions of the 1830s with nineteenth century music and song and seasonal refreshments. Prepaid reservations are required. Space is limited. The reservation price includes admission to the 38th Annual Holiday Exhibition: "Simple Gifts."